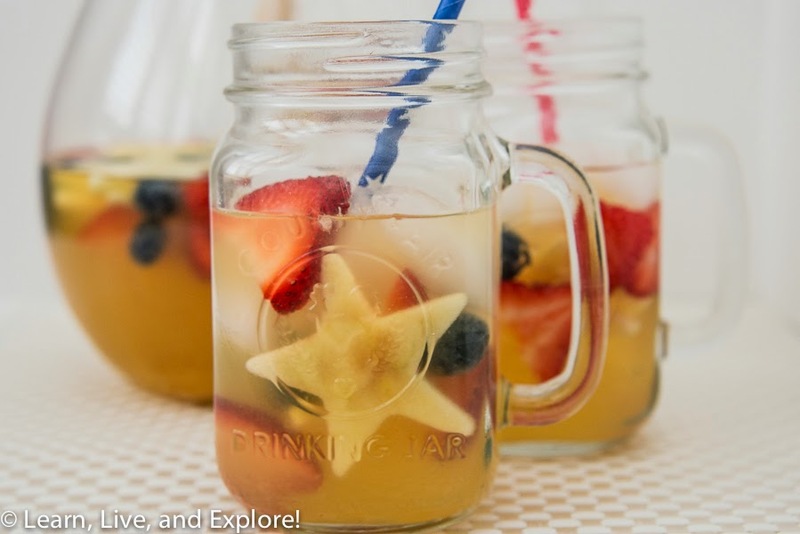 Summer Drinks: Star Spangled Sangria ~ Learn, Live, and Explore! 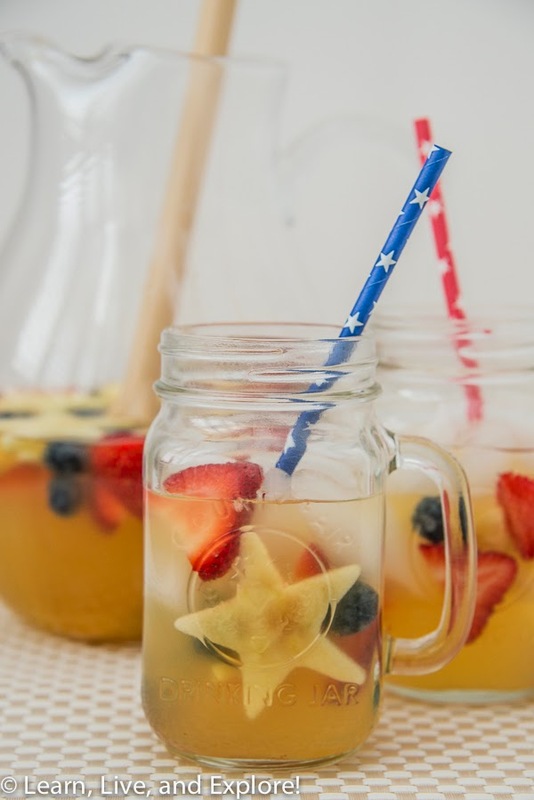 I feel it is my patriotic duty to drink this cocktail on the 4th of July. Ok, maybe it's not my duty, but it's certainly something you will catch me doing! The festiveness of this drink is hard to pass up. Thanks to MyBakingAddition for the idea! 1. 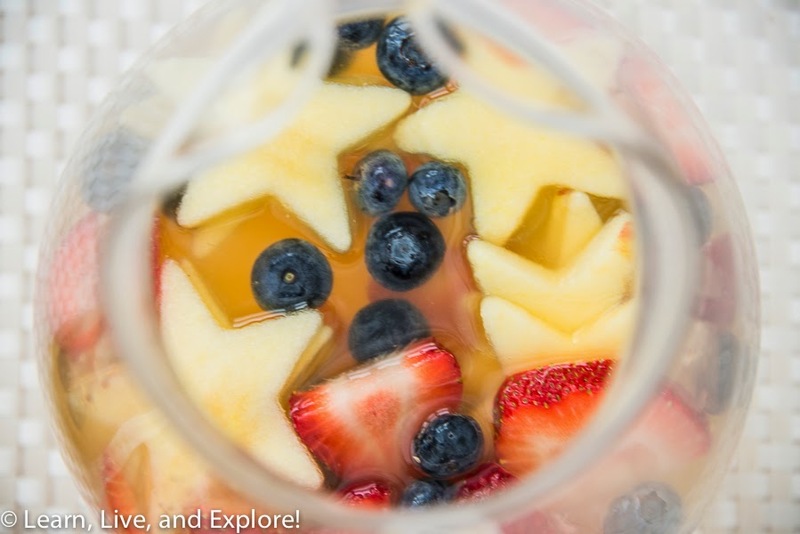 In a large pitcher, mix together the wine, liqueurs, and juices. 3. Pour into glasses with ice, and top off with soda water.